Solairgen has the training program you're looking for. We offer accredited online solar classes and hands-on labs with workshop training that will get you in the industry sooner in as few as two classes - not four or more. Earn nationally recognized industry credentials and certifications with Solairgen. Sign up for the NABCEP Associate Installer Credential Certification Exam after successful completion of our 20 hour, online solar PV201 Online Design and Installation Class. We offer Certification Exam classes for the Professional Installer Certification, too. For more information, see a list of the courses we offer, or visit our Home Page to get started on your path to a rewarding and profitable career as a solar electric PV Panel System Installer. 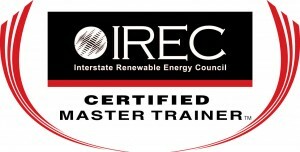 Solairgen is an IREC Accredited/NABCEP Approved training organization, in solar panel installation training since 2007. 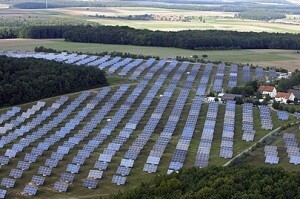 To find out more about the specifics of solar companies and solar installations in Florida, please visit the Solar Energy Industry Association's website.